With the drone revolution aligned with the IoT (Internet of Things) more concerns arise regarding the security and proper usage of drones. The main scares to which drones are related are connected primary with collisions and crashes. But there are also other potential risks such as cyber-attacks on high buildings via drone capturing wi-fi signals that are not only target for drones but also caused by such as well. Since most drones have become much cheaper and hence a lot less sophisticated for users, several changes and regulations have been commenced in relation to those. According to HelpNetSecurity, he U.S. Federal Aviation Administration forecasts that by the end of this year several hundred thousand drones will be commercially used all over the States. 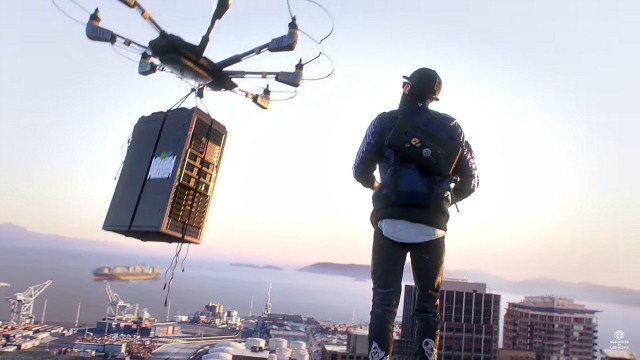 Not only this, but work-related drones that will process tasks that may generally endanger humans will be used as well, for example, carrying parts on tall buildings, cleaning glasses and other functions. The situation has become so serious that it has also captured the attention of insurance companies, that use such drones to assess the risk when big disaster has occurred. 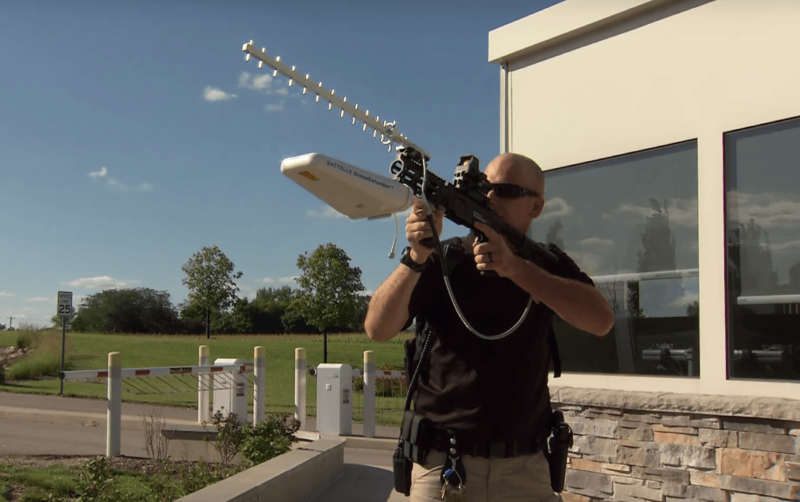 Not only this, but Digitaltrends have reported that there is a rifle which Is jamming radio waves that can be used by an operator to render a drone out of service permanently. As a bottom line law enforcement is also trying to keep up with the increasing number of drones, but projections estimate that after 4 years the drones number will rapidly increase, giving a potential of up to $1 billion market value of drone insurance. Threats such as Drones may be persistent. They tend to re-appear if not fully deleted. A malware removal tool like Combo Cleaner will help you to remove malicious programs, saving you the time and the struggle of tracking down numerous malicious files. Threats such as Drones may be persistent on your system. They tend to re-appear if not fully deleted. A malware removal tool like SpyHunter will help you to remove malicious programs, saving you the time and the struggle of tracking down numerous malicious files. Note! Your computer system may be affected by Drones and other threats. SpyHunter is a powerful malware removal tool designed to help users with in-depth system security analysis, detection and removal of threats such as Drones. 1. Install SpyHunter to scan for Drones and remove them. 2. Scan with SpyHunter, Detect and Remove Drones. Ransomware infections and Drones aim to encrypt your files using an encryption algorithm which may be very difficult to decrypt. This is why we have suggested several alternative methods that may help you go around direct decryption and try to restore your files. Bear in mind that these methods may not be 100% effective but may also help you a little or a lot in different situations. Note! Your computer system may be affected by Drones or other threats. Remove Drones by cleaning your Browser and Registry. Fix registry entries created by Drones on your PC. Combo Cleaner is a powerful malware removal tool designed to help users with in-depth system security analysis, detection and removal of threats such as Drones. Step 5: In the Applications menu, look for any suspicious app or an app with a name, similar or identical to Drones. If you find it, right-click on the app and select “Move to Trash”. Step 6: Select Accounts, after which click on the Login Items preference. Your Mac will then show you a list of items that start automatically when you log in. Look for any suspicious apps identical or similar to Drones. Check the app you want to stop from running automatically and then select on the Minus (“–“) icon to hide it. Remove Drones – related extensions from your Mac’s browsers. A pop-up window will appear asking for confirmation to uninstall the extension. Select ‘Uninstall’ again, and the Drones will be removed. When you are facing problems on your Mac as a result of unwanted scripts and programs such as Drones, the recommended way of eliminating the threat is by using an anti-malware program. Combo Cleaner offers advanced security features along with other modules that will improve your Mac’s security and protect it in the future. Hey !, I found this information for you: "Can Drones Be a Risk and Why". Here is the website link: https://sensorstechforum.com/can-drones-risk/. Thank you.